Being certain feels safe, but it precludes us from really getting to know one another. 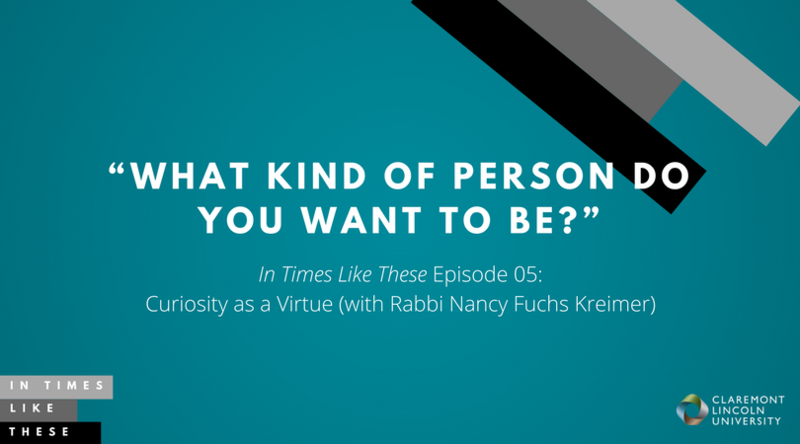 In this episode, Rabbi Nancy Fuchs Kreimer helps us explore what it might mean to cultivate curiosity as a virtue. Can listening be a transformative skill? What fears, practices, and biases keep us from being good dialogue partners? Does failing to listen make us civically irresponsible? Kreimer has years of experience building bridges—first in Jewish and Christian communities, and then in Muslim-Jewish communities. Her recent work looks at the role of college chaplains and the college landscape as places where young adults can grow to be more (or less) in relationship with each other. Stephanie: You’re listening to In Times Like These, a production of CLU Live at Claremont Lincoln University. In Times Like These explores the difficult spaces we humans navigate in culture and religion, in dialogue and doubt. Nancy Fuques Cramer is the Director of the Department of Multi faith Studies and Initiatives and Associate Professor of Religious Studies at Reconstructionist Rabbinical College in Pennsylvania. 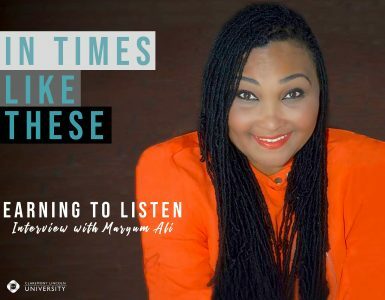 She’s been involved with interfaith dialogue for nearly four decades, and attended some of the earliest initiatives to include Muslims in this work. In this episode, we talk about what it means to have dialogue in the US after the 2016 presidential election. Anti-Semitism is on the rise. Hate groups and hate speech have become more visible and these acts are growing in number and visibility. Islama-racism feels more mainstream to many activists and American Muslims. How do we build bridges in life and death situations? What is the role of listening? How can communities of higher ed prepare young people for collaboration in the civic space? What is the work of religious leaders in times like these? Nancy: So my name is Nancy Fuchs Kreimer. I’m a rabbi. I’ve been a rabbi since 1982. I have a PhD in Muslim, oh I have to start over again. Stephanie: Okay. And you’re not on video, just so you know. Nancy: I didn’t know what a Muslim was when I got my PhD. I don’t know why I said that. Now, maybe I’ll just say this to you, Stephanie. I live and breathe Muslim/Jewish dialogue, so I was going to tell you that I got a PhD in Muslim/Jewish dialogue. The opposite is true. I got a PhD in Jewish/Christian. Stephanie: Oh, see that’s a fascinating story about the field. Nancy: I didn’t know what a Muslim was. I had taken an intro to Islam course, but back in 1977, when you did Intro to Islam, you didn’t actually know any Muslims and you didn’t know anything of importance, and it really was like an academic exercise. I wrote down everything about the five pillars and the history and everything, and come September 11th, when I, as an interfaith educator, teaching at the Reconstructionist Rabbinical School, educating reconstructionist rabbis about Judaism and Christianity and their relationship, and preparing them to be active in the world of interfaith, which at that time was Jewish-Christian. After September 11th, I realized I was woefully unprepared to sit on a panel with a Muslim, to talk about what was going on in our country today, and to understand not the stuff I wrote down academically about Islam, but to understand who are American Muslims? What are their troubles? What are their issues? 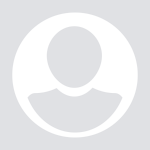 How do they see the world, [inaudible 00:03:01] … a Jew living today, in a world where, at this point in time, we have as many Muslims as Jews living in this country. Probably more or less the same number, about 5 million, 5 and a half million of each. Pretty soon there’ll be more Muslims than Jews, as the Muslims are young and Jews are old, and our birthrate is not theirs. The day, Judaism is going to be, not any longer the second religion after Christianity that everybody is … We’re going to become more minoritized. It’s all very interesting. What do I do? I teach rabbinical students, preparing them to be activists and educators and culture changers in their own communities. To be, in the past, it was more about getting along in a Christian world. Now it’s more about how to be allies with Muslims. It’s still very much interested in Christianity. I’m still interested in Christianity. My students are still interested in it, but it’s a whole different world now. First of all, compared to when I began doing this work in 1982, many of our students are themselves the products of intermarriage. We have 14 students graduating this year as rabbis. That’s what we do, we train rabbis. So 14 rabbis are going out into the world from our seminary. Four of them started life as Christians and converted to Judaism. They’re Jews by choice. Another three are products of intermarriage. They had a Christian mother and a Jewish father, or the other way around. In any event, we have so much more variety within our own traditional, in our own world. We have two African-American students now. We have students who are married to non-Jews. We have students who are married to people who are not white, coming from different backgrounds. It’s all very different and exciting. So what do I do? I prepare these students to go out in the world and be leaders, and then the other thing I do is that I do projects to bring what we learn about interfaith encounter to a larger world. 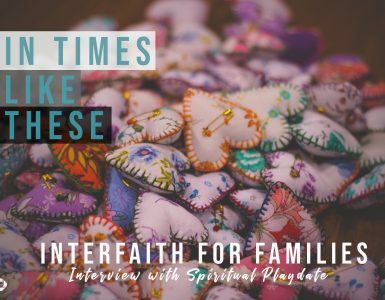 For many years, I was doing a project where I was bringing emerging religious leaders who were Jewish and Muslim, together to retreats, to build relationships, and that went on for a number of years, five years actually. I got to know a lot of young Muslim leaders and a lot of Jewish leaders from all the different seminaries, from Orthodox, renewal, everything in between. I have a new project now. My new project is multi-faith world campus chaplaincy. What I discovered was that there was a gap in the ecosystem of religious leadership training. It had to do with the people who serve as religious advisors and chaplains on campuses. So campus, college campus, we would call it the ground zero of interfaith because students come to a campus and they find themselves in a multi faith environment, living closely and encountering daily, more religious diversity than they might ever have known in their lives before that. Even more interestingly, more than they may ever know in their lives after that, because after college, people may go back into their individual silos. Here’s an opportunity, but opportunities also can sometimes feel like challenges and crises. In this case, what I felt was, is that the people who were serving them on campus, the Hillel rabbi, the Christian chaplain, the Muslim student advisor, might not necessarily and probably hadn’t been specifically schooled in how to do the work of interfaith, of bringing these people together. They were schooled in their individual … I mean, I know about Hillel because I’m Jewish. Jewish people who go into Hillel are trained to serve Jews. Their mission is to serve Jews. They understand their job as being bringing Jews together. 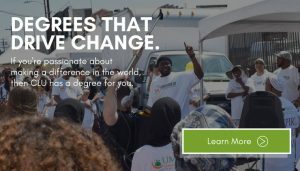 Seeing the multi-faith campuses, this incredible opportunity, I went to the Luce Foundation and asked them for a lot of money to explore what it would mean to train people who work on college campuses from all these different faith traditions, in specifically the work of multi-faith. I received word that I had gotten this grant in early November of 2016. A few days later, Trump was elected president. The whole mission of what I was about to do on campus began to evolve. It didn’t change entirely, it evolved. Here’s how it evolved. What I learned when I started to work to recruit chaplains from the different campuses to serve in my project. I had 20 fellows at the first, and I’m going to have another cohort, anyway. The first cohort of 20 will start with a retreat and a training in August of 2017. When I began recruiting people, I did a lot of listening. What is going on in your campus? Now it’s already January, and February of this year, 2017. Here’s what I heard. I heard that students have a lot of trouble living with diversity, living with difference, communicating with each other across difference, but it’s not about I’m Jewish, you’re Christian. It’s more about more passionately held identities than Jewish or Christian. Those identities maybe aren’t so up for them in that way. Many of them are not even sure what they are. But what they do have a lot of dogmatism about is their political views, and there’s a lot of not so good listening going on, on college campuses, between people who really want to save the world and make the world a better place but have a really hard time listening to their roommate who doesn’t see things the same way they do. That’s what we’re looking at. We’re looking at is this something that college campus chaplains from all these different faiths can actually contribute something to the campus culture. I’ve done a lot of thinking. I have an advisory board with Elu Patel and some of the seasoned chaplains who have been doing this work for many years, on some of the top campuses in the country. I’ve been listening to them talk about what they think needs to happen. I’m hearing some very interesting things. The first thing I’m hearing is that, it always seems like this is the worst time ever. This is so different than anything that went before, but they’re saying, no. This is really different. This is not just like it was two years ago or five years ago or ten years ago. I’m hearing campus chaplains who’ve been doing this work for three decades saying they’ve never felt it’s as hard as now, as hard to get students to listen. They say there’s a lot of different groups on campus who are fueling a lot of fear. A lot of victimization. There’s kind of the oppression Olympics approach, which is that many of these younger people have been schooled in being highly attuned to when there’s been a microaggression. Very attuned to their problems in their community and their oppression and the hegemony of the white Christians, all that stuff, and the power and privilege. Well you know what? That kind of thinking, which is incredibly important because it’s really about deconstructing some not so good things, down on the ground, it doesn’t work so well in terms of building community across difference. It’s sent people back into their shells in some ways. Now what people are telling me is that there are groups on campus that are intersectional groups of people who all agree we should be resisting Trump. We’re all leftist. We all have the same politics. The gays and the Jews and the Muslims and the Christians in that particular group, they’re getting along great. There’s whole lots of other people on campuses, and within groups, like for example the Jewish group, who can barely talk to each other because they disagree so firmly about Israel and Palestine. Or I’m hearing, and I don’t know anything about this first hand, but I hear African-American students who can’t talk to other African-American students because they don’t think they’re sufficiently critical of the other African-American people who are sufficiently radical. There’s just a lot of self-righteousness, a lot of suspicion and what I’m hearing, I just find very, very disturbing, that some of these people who’ve been doing this work for so many years telling me I don’t know if I can get people together across these kind of differences, to listen to one another. I’m saying this is what we want to do in this project is to see this is the way I’ve phrased it to the Henry Luce Foundation, everybody wants the culture of the campus to be more bringing people together. 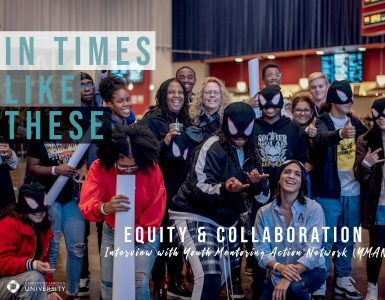 We’ll find some kind of connective tissue that makes this work, this community, but actually, a lot of campuses, that center doesn’t hold anymore. The question is, whether campus chaplains, coming from these different religious traditions, can somehow find a way to make a unique contribution to that problem by bringing two people together around spiritual values. That’s the idea of the project. It’s been meeting with a lot of interest and a lot of curiosity about how we’re going to do this. We don’t really know. What we know is people are saying to me, we need to double down on what it means to be a virtuous person. In that liberal arts, and certainly in the STEM curriculum, people are not asking these young people one simple question that they used to ask. It used to be asked in the humanities. What kind of person do you want to be? How are you showing up in the world? Okay, fine, you’re a leftist, you’re a right … Whatever. Whatever your politics are, how are you doing it? Are you doing it from a place of love? That’s the question that I think might be able to bring diverse religions together, certainly, although as I say, it’s not really religion that is our biggest diversity issue at the moment. But to bring diverse people together. The project that I’m envisioning is one in which we’re going to take chaplains and we’re going to ask them to design initiatives for their campus, where they’re going to figure out how to start getting people to talk to each other around shared interest in finding ways, particularly embodied practices for becoming the people they want to be. I call it spiritual practices for cultivation of character, but I’ve been told … My grant proposal, I talked a lot about cultivation of character, but people said, oh character is an old-fashioned starchy word. No one likes that, and cultivation. I love the word cultivation, but I’m not getting that that’s going to fly with the 18 year olds. We don’t know exactly. We’re still working because each campus is different and they’re going to have different language and different ways of approaching things, and even different clientele. Some of the campuses have told me they have so many chaplains on campus that never talk to one another, that they just want to do a project to bring 35 chaplains together. At Harvard, these people are, some of them are very part-time. Very few of them are paid by Harvard. They’re paid by their individual groups, but they’ve got Sikhs, and they’ve got Mormons and they’ve got evangelicals. They’ve got four or five different brands of rabbis. What would it mean to just bring those people together? To explore how they can impact the culture of the campus? That’s what I’m doing. Stephanie: This is interfaith, encompassing intercultural, interpersonal. Nancy: Interpolitical. We call it encounter across difference, yeah. It’s really about diversity of all kinds. 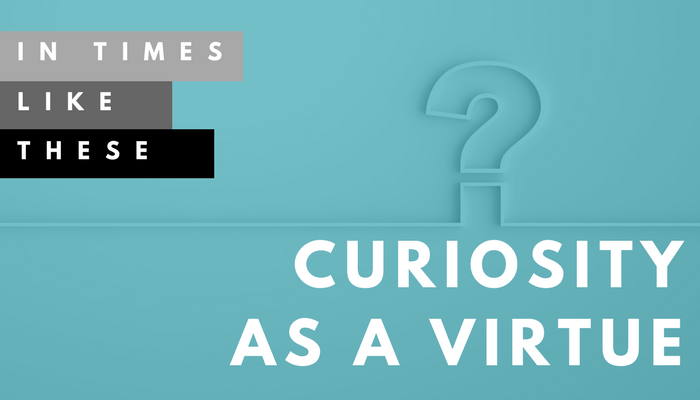 Stephanie: You would categorize listening as a spiritual practice and as a virtue? Nancy: Well, I think the virtue I would point to would be curiosity and the action would be listening. That’s the way I would put it. You recognize what I’m talking about, about all the critical studies and all the critical … The way we’ve trained a new generation of people to be highly suspicious. Nancy: Of what’s going down, and then I think somewhere along the line, something got lost. Stephanie: Yes. I can’t remember. I think maybe Cheryl Kojaba Holbrooke or Frank Rogers, one of them encourage us to start thinking, instead of reading a text or reading a peer or reading a community with a hermeneutic of suspicion, reading with a hermeneutic of generosity. Nancy: Yes. Yes, but that is exactly right. That, the virtue I would point to there would be kind of open-heartedness. Nancy: That, I love that. A hermeneutic of generosity. Very nice. There is no overarching narrative right now that speaks to people about what does it mean to be a community. Someone told me, this is a person who used to be at Princeton but isn’t anymore. He said there was a time when people were brought together by the fact that they were proud to be Princetonians and they were of course, all white Christian men, but they were Princetonians and that was an identity that also involved a certain kind of sense of obligation to one another and connection. What’s happened now, there’s something beautiful, which is that Princeton’s extremely diverse and that black students who come there want nothing to do with the heritage of the slaves that built the buildings. There’s a lot of awareness of how problematic that was, but it hasn’t been replaced by anything. Stephanie: Right. We are so eager and agile at problematizing. Let’s problematize this. Stephanie: But what it, where is the restorative work? Okay, now that we’ve problematized to the nth degree, where will we restore? Nancy: Right, right, how do we restore? Stephanie: And build back up? Nancy: Exactly. Exactly. Exactly. One overarching narrative that used to really work for people at one time, and of course it usually involves having an outside enemy is your national identity. We are Americans. Well, that really feels really, really hard right now because what’s coming from the top is so, let’s put it this way. It’s not values based. That’s what we’re talking about. It’s shameful in some ways. We joke about when we go abroad, we want to carry Canadian flags on our backpacks. There’s something about that, but it’s really, I think there’s a lot of loss here. I want to just stress also that when people are feeling stressed and fearful, they’re not their best selves. When Jews think antiSemitism is on the rise, it’s not the moment when they come forward and say, “But I really do want to understand how you think about the Palestinian conflict.” It’s just not the moment for it. There’s been a lot of that and a lot of harsh things, and race, I mean the awareness we have now about race. Starting I think with Ferguson … Not that we were ever unaware of race, but there was a period when we thought, oh we elected Obama. Things are getting better. Now, at least in my experience, the last few years, we felt things are getting worse. Of course, now with Trump in the White House, we are very, very aware of how vulnerable our most vulnerable citizens are, how very vulnerable. We’re not even talking now about the people on campus who are not citizens. Yeah. We are, and Muslims. I will say, for me, when I first started thinking about this project, one of the things I was most aware was the gap of the training of Muslim chaplains. To people who were serving the MSAs in campuses across the country, sometimes they were these wonderfully trained people from Hartford seminary, but very often they were just someone who happened to be around, in the campus or in the neighborhood, in that community who was a Muslim. Period. I mean, that was it. Muslim Student Associations were also just beginning to figure out who were they and how were they going to raise funds and how were they going to make a splash on campus and how were they going to deal with diversity within their communities? Then, how were they going to do interfaith with everybody else. I had written a grant, which I never got, which was to do training specifically around Jewish and Muslim campus chaplains who would kind of educate each other in interesting ways. Jews needed to learn a lot about Muslims. Muslims are telling me that they thought these Jewish chaplains actually knew a lot about being chaplains in America and dealing with Christians. It was a very interesting job. Did not get funded. So where we are doing this project, but I was always very aware of how important it was to include, include, include Muslims in this process. 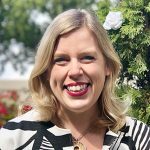 Stephanie: Talk to me about activism and resistance, as a person who’s politically engaged, civically engaged, cares deeply, feels called to use my own Christian language, to living virtuously. What does that mean, to be active? What does that mean to resist and what does that look like in your teaching, in your work? Nancy: I think several things. Since Trump’s election, the mantra that’s going through my head, the morning I woke up and I opened my eyes and I knew, I went to sleep the night before, that hadn’t been a dream. That Trump had indeed been elected. What went through my mind was a line, we were made for times like this. That all these years of thinking and learning, reading about the era of Herschel and King, which I missed by just a few years, we were made for times like this. We now need to step up and lean into the challenge of this moment. How to do that is something we’re figuring out, really figuring out day to day. I just came back from my rabbinical association annual convention where we were struggling with some of those questions. People have different ideas. Some people say, this is a marathon. You’re going to have to pace yourself. We have to teach our people about self care and not burning out, and about Shabbat and about spiritual practices so that they stay calm, and that they do the inner work, because they’re going very, very low, they meaning the people running our country right now, and we’re going to have to go very deep, as our friend [inaudible 00:23:37] says in order to stay with it, to stay with it. There’s a lot of talk about that in the circles I move in, of just like what does it mean to think about what the inner work needs to be for a time like this. At the same time, there’s also a lot of conversation about what is the outer work, what actually is effective. Is this a marathon or is this just a sprint for the next two years? Because if we don’t get this together in the next two years, there isn’t going to be a marathon. We’re going to have a Congress and state legislatures all over this country that are so fully Republican that the White House is going to be able to do whatever it wants and that’s an incredibly scary notion. We need actually spring to 2018, November 2018. That’s a little bit where I’m heading in my own thinking, is that much as I love the idea of well this is going to be a long haul. I’m going to pace myself, it also appeals to my personal desire to be a little lazy and sleep late in the morning, you know? But what I’m beginning to feel more and more is that I need to take much more active a stance right now because time’s a wasting, in terms of the courts and in terms of the legislature. We have a balance of power in this country that right now, the executive is not one that’s going to keep any of us safe. What’s going to keep us safe, if anything does, it’s our court system, but we’re going to pretty soon start to see judges being replaced, or our legislature system which again, we have gerrymandered districts. We have right wing people who have no motivation to do anything else than they’re doing because they gerrymandered like crazy in 2010. 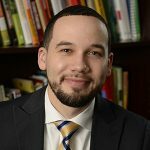 My own personal approach has been to be very attracted to working on the state level because I live in a very problematic state and one that went for Trump, but more importantly one that has a Republican dominated state legislature, terrible policies that do not in any way help the city, the inner city where I live, in Pittsburgh, the other city. We have a lot of work to do in our state. I think some people are thinking it may not work as well in California where you have a pretty good state I think. We are thinking to think regionally, to think locally, to approach this problem as one that we cannot get the attention we want by going to stand in front of the White House, no matter how many of us get there, but we may get it by going to Harrisburg. Right now, I’m part of a group that’s planning a massive, massive march on Harrisburg, to try to get, change the gerrymandering system in our state, and have all the districts realigned by an independent committee rather than the way it’s been done in the past, which is not good. Anyway, the point is, we’re all evolving as fast as we can. We’re all trying to figure this out. None of us knows how to do it or what the answer is, what the magic bullet is, but what I think is really important is religious communities are needed now more than ever. That’s our joke phrase in our world is anytime anybody sends you a fundraising letter, they say our work is needed now more than ever. Everything’s needed now more than ever, but I mean it. Religious communities are needed now more than ever. When I looked at my philanthropy, I looked over everything I was giving, to the ACLU and the philanthropy arm of this and that, I made a decision that I was going to give more to my synagogues. I belong to three, so I have three synagogues, because you see, when you’re Jewish, you can’t just go to one synagogue because they’re into politics. They’re into you know. I really felt like what I need to do is support these synagogues because they are the places that people are going to be refueled spiritually, so that they can keep doing this work. As long as I belong to synagogues that are doing that, I want to support them, more than ever. I’m wanting to support, and I’m hoping that this is a trend. I don’t know if it’s a trend, that people are stepping up their recognition of how important their religious communities are. Do you think it’s a happening thing? Stephanie: Yes. I also have cousins and family members. I grew up in a coal mining town in southern Illinois, very missionary Baptist, you know the kind of Baptist who God calls you, and you don’t necessarily have to go to college. You work in the oil fields during the week and you preach on Sundays. I know that they also feel called to be energized and spiritually fed at their churches to do political work. The challenge for me is that their political work is opposed to my political work. Nancy: Right. No, I get that. I get that, but I guess what I’m hearing and seeing is that progressive religious communities were losing a bit of their raison d’etre when they were too much like the secular reality around them, and we kept hearing about liberal churches dying and liberal synagogues running out of members and what I’m saying is I think this moment is re-energizing their call. Stephanie: Coal mining. Coal mining town. Nancy: Coal mining, yeah. This is making me insane. I mean that Trump is telling people that he’s going to bring back coal. Nancy: Do they believe that? Stephanie: They do. They do. My dad was laid off from the mines when I was in fifth or sixth grade. Life … I mean the town is dead. If you drove through town now, it’s dead, and for years, they would hear rumors that the mines are going to reopen. The mines are going to reopen. The mines are going to reopen. In the last 10 years, some mines have reopened, but with, outside of the union. There’s a lot of young guys, my age and younger, working without health benefits, doing things that the union would not have them do. It’s not safe. They do. Stephanie: Thanks for listening to In Times Like These, where we explore issues of politics and faith, and learn from one another how to navigate difference for maximum flourishing. In Times Like These is a product of CLU Live at Claremont Lincoln University. For more, subscribe, share and visit us at clairmontlincoln.edu. Fear and resentment are major blocks to empathy and dialogue. Much of the painful discourse after the 2016 US Presidential election has to do with groups of people struggling with cultural and economic realities. Even if we disagree with someone politically, how do we empathize and work to build mutual understanding? 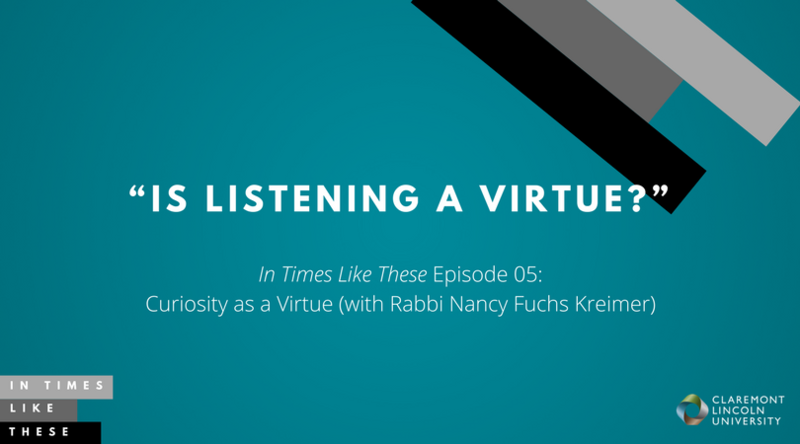 Rabbi Nancy Fuchs Kreimer believes that the act of listening is related to curiosity, which she considers to be a major virtue that can be practiced and cultivated in colleges and religious/ethical organizations. How have you learned how to listen? Do we value listening as a culture? In this episode, she models some of the ways we can pursue this posture. Each time we interact with another person—in person, on social media, in the way we talk about groups of people, and how we respond to racism and misogyny in groups—we have the opportunity to act ethically. Sometimes, when we are fighting perceived injustices, it feels like we should be able to act with anger and righteousness. And yet, those postures kill dialogue and relationship. How can we move through the world with care and virtue, and, not tear others down?